Actually, white balance means adjusting colors so that the image is a replica of the actual sight. By making this adjustment, you can get rid of the color cast. Unlike our brain, the camera does not fine-tune itself to color temperature; we need to do it manually. And we tell you how to work on the white balance! How to Adjust White Balance? Adjusting is the key to success! Auto: As the name suggests, it automatically captures white pictures according to different lighting conditions. Tungsten: This is mostly used while shooting indoors. It is used to cool down the color temperature. Fluorescent: This helps you get bright and warm shots. Daylight: Used while shooting outdoors in a normal daylight setting. Cloudy: This option yields warm images on a cloudy or shady day. Flash: This is used to get better shots under low-light conditions. This is how the white balance setting panel looks like in the Lightroom. You can set the temperature either by changing the temperature value or through an eyedropper tool. Like the camera, the software also has preset options such as auto, daylight, flash, shade, etc. In most of the cases, the above-mentioned preset options get you wonderful results. But some photographers, especially professionals, like to manually set the balance according to their tastes or professional requirements. During the day, the intensity of light changes drastically, so you have to regularly change the setting to get a near-real image. You have to manually select a reference point, that is, point your camera to a gray card or white picture to help the camera understand what the colors look like. Next, set the exposure and focus. Finally, activate the custom white balance on the subject by pressing the button. This setting will be saved until you manually change it. Setting the camera’s white balance is an easy task, thanks to the preset options. You just have to know which white balance option to select under certain lighting conditions. These options help you click good pictures when you are in rush and do not have the time to adjust the white balance. Some camera models have the white balance button too, this makes the white balance process hassle free! Yes! You read it right, colors too have a temperature. Color temperature is measured in terms of Kelvin (K). Two different light sources may appear same but can have great variation when it comes to color temperature. For example, the color of sunlight during sunset or sunrise appears to be the same, but have different color temperatures. Kelvin photography helps you set the color temperature over a broad range. You can also manually enter a temperature in the Kelvin setting. The trick is to get the actual colors in a mixed-lighting situation, that is, multiple light sources with different color temperatures such as light from bulbs and sunlight. Color temperature is not only restricted to sources but also depends on the lighting conditions. For example, a photograph clicked at noon time may be different from the one shot at the same time but when the sun was behind a cloud. Once you have mastered the art of feeling a color temperature, you will be able to take accurate shots that are free of unnatural color casts which make your photographs look more natural. Did you know Kelvin Photography lets you control the color correction? While white balance in photography compensates the light in an image, Kelvin photography allows you to control the color correction and set the mood and color tone of the image. You can adjust from 2000K to 5000K in the Lightroom with RAW images and in digital cameras, the Kelvin range is 2000K to 9000K. There are times when you cannot achieve the perfect skin tone of the subject or cannot attain the right light tone with preset options like “tungsten” or “cloudy”; in such cases opt for Kelvin photography. 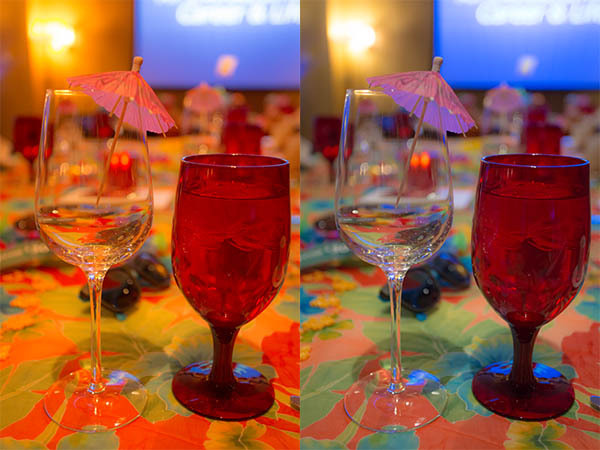 In the above picture, the left image clicked in the Auto mode, is warmer due to the dominating red color among all colors. In Kelvin photography (right image), the image is cooled down to get a more natural and realistic picture of the scene. Hence, the right image is close to the real image, the one captured by the human brain. 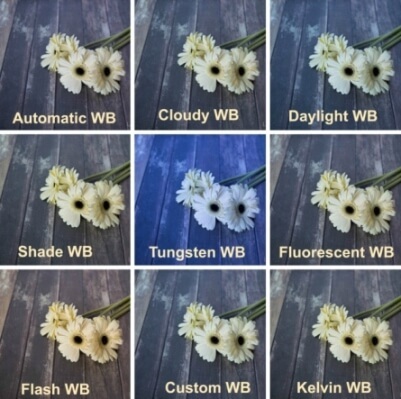 Although both white balance and color temperature are used in terms of photography, they are different in terms of usage. Digital cameras have a preset white balance option, so often the color temperature is ignored. The above pictures were clicked during the same time but are modified based on the color temperatures using the Kelvin photography. While 2500K gives a bluish finish to the photo, the 10000K gives a warmer tone to the photo. It is 5000K that makes the photo apt for the daylight. And this way you can get the perfect shot with white balance. When shooting raw images outdoors, you should keep the Kelvin control set to 5500K. When shooting indoors, where the images have an orange (warmer) color cast, cool them off by setting the temperature to 3000K. Like white balance in photography, color temperature is an immeasurable attribute in photography. And similarly, this attribute can also be controlled in any commercially available post-production software. Having said that, do not forget: photography is an art and hence it is subjective. Once the knowledge of these options has been deeply embedded in the functionality, clicking award-winning images will be like a smooth sail in calm seas. Even if the reel and real images are near replica, you might feel that the warmer or cooler effect is better for the image and may give a personal touch to the photograph. So, it is up to you to decide how and when to make the adjustment and help the photograph reveal the true context of the image being clicked. Once you are clear with the concept of color temperature and Kelvin photography and know what is white balance in photography, manually setting it will not be as daunting as it seems. So what are you waiting for? Quickly check these options in your camera!